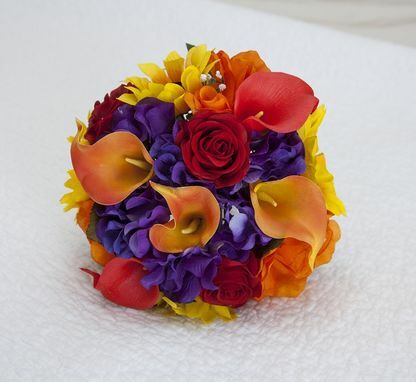 Beautiful and real-looking arrangement of yellow sunflowers, yellow-orange and red real touch calla lilies, real touch red roses, purple silk hydrangea and orange silk roses. 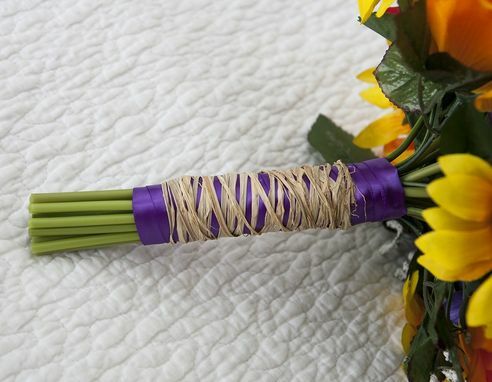 Handle partially wrapped in purple ribbon with raffia over it. 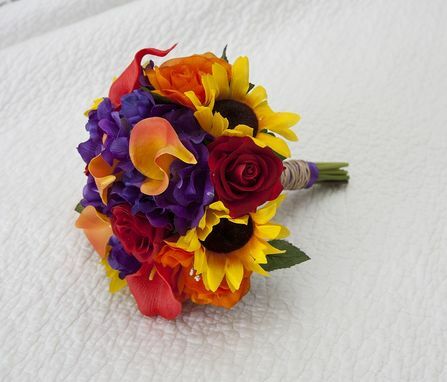 Perfect for country, fall or weddings with bright and bold colors and a slight rustic feel. Other ribbon colors available. 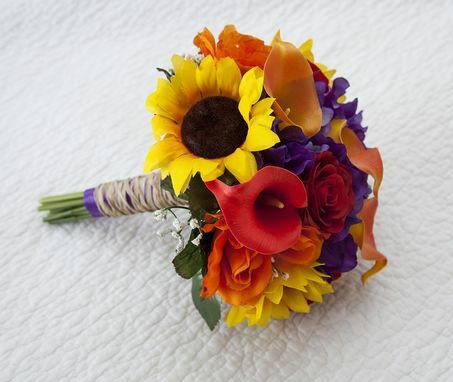 Handle can also be fully wrapped and accented with other items. 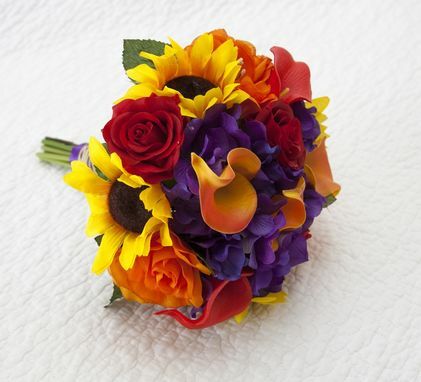 Matching items and custom sets available! Please contact me for details. Bouquets are hand-made after you place the order. It may take 3-4 weeks before the item is shipped. Rush orders available. Extra charge for rush orders needed 1-2 weeks from purchase. Please contact me before purchasing a rush order.